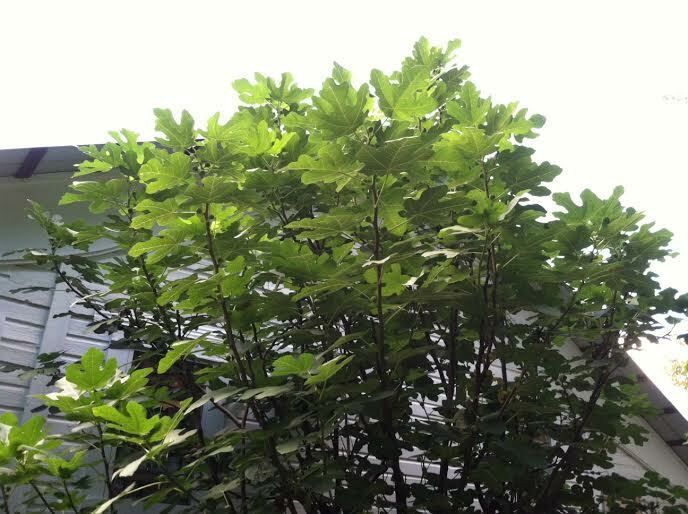 Spotted three more fig trees today, perhaps to be added here at some point. 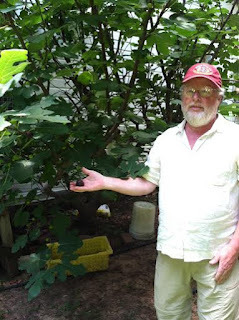 The focus of this post is the Fig variety known as Hardy Chicago. I'm not quite sure how cold hardy this variety is but it has been told to me, it would survive a -70 cold winter and come back. Leading this variety topic, a massive, 15 years old Hardy Chicago Fig tree, owned by the friendly folks at The Squash Blossom in Dora. 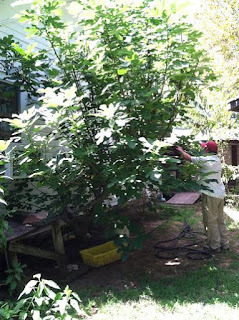 Here's John, dwarfed by the giant fig tree! 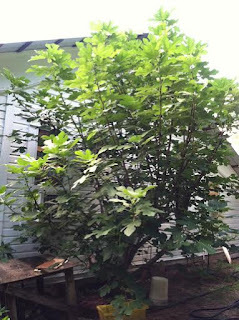 This tree has not been specifically winter protected, meaning not wrapped or ever covered but is planted in a somewhat protective location. A home wall to the West and an outdoor shed mostly blocking winds from the North. Look how well this tree has done in partial sunlight! 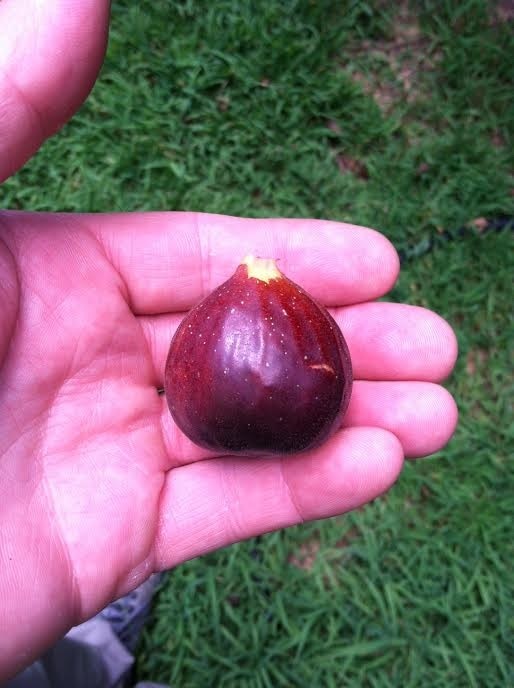 John picked a sample for me! 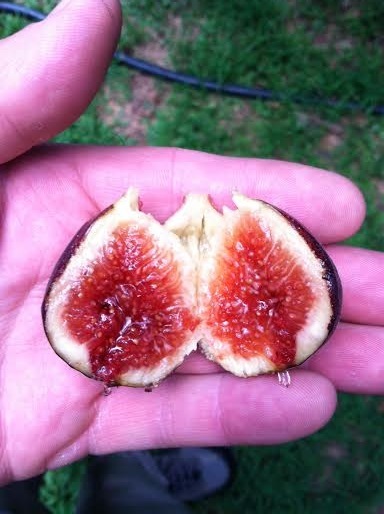 This is what hooked me on figs, without ever even having tasted one. Yeah, it was as good as it looks! You just have to have a ripe fig to understand. 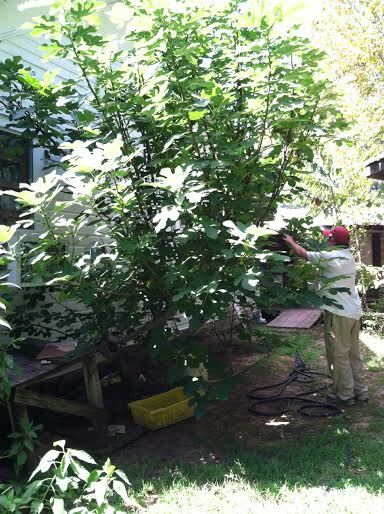 Estimating this tree is 16-18 ft tall and about 12 ft wide.